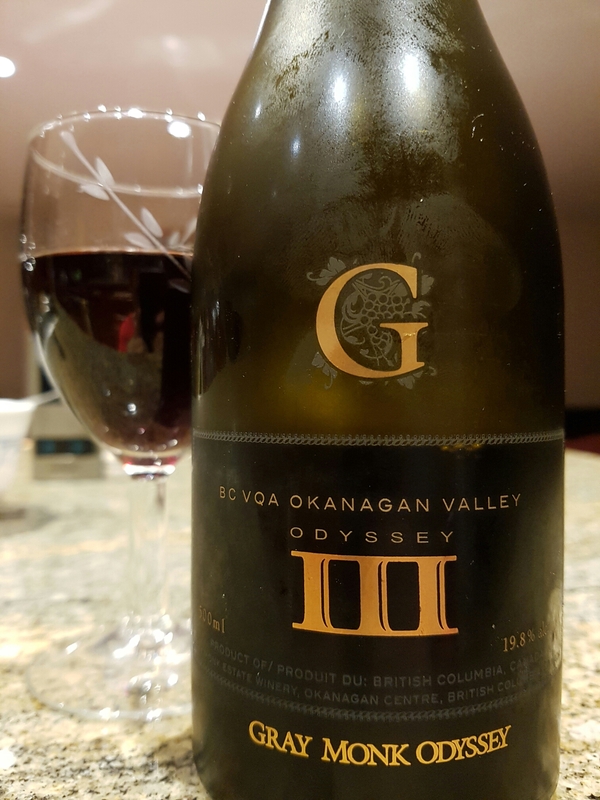 Gray Monk Odyssey III (Port-Style) (BC, Canada) | Justintoxicated. Visual: (NV, cellared for 4 years). Pours dark magenta, slow runny legs. 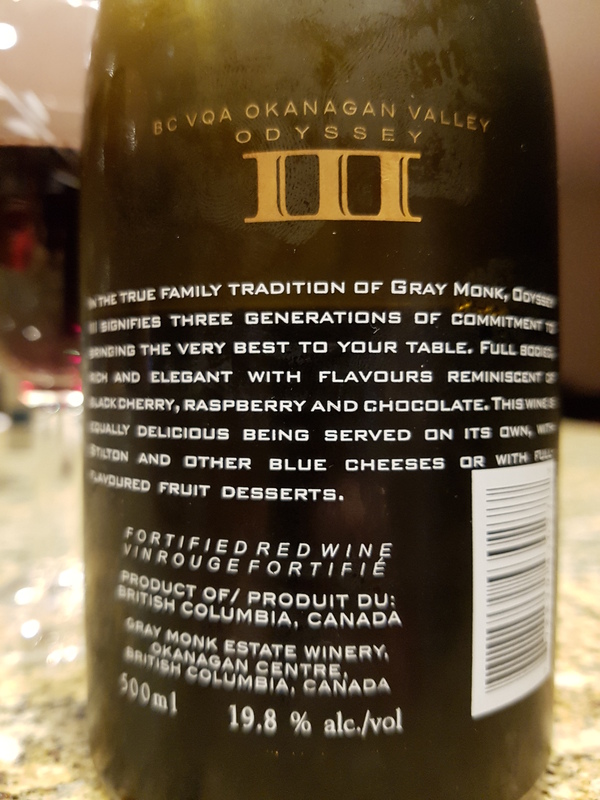 Summary: All flavours as advertised, solid richness, solid drinkability. A tad watery in the entry, could use a bit more body in the mids.